There are a number of “subscribe” or “add to calendar” options. Often these are displayed by default in the chosen list type. You can add them to any list type from the list type settings. Simply add a non-zero number to the desired fields ‘column’ to make it display. 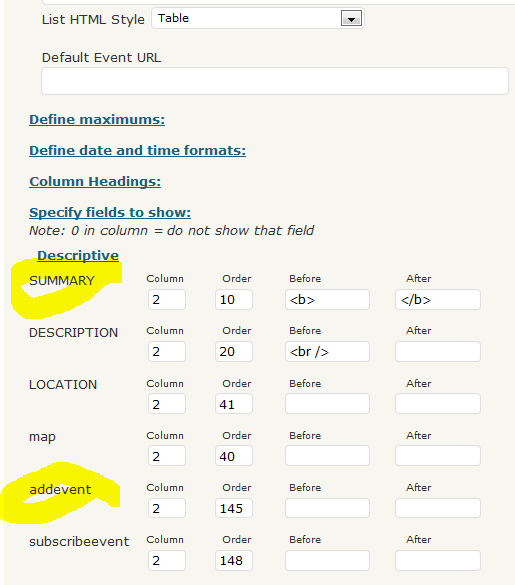 EG: To add a subscribe link to the upcoming events widget.. The default list type for the widget is list type 4. 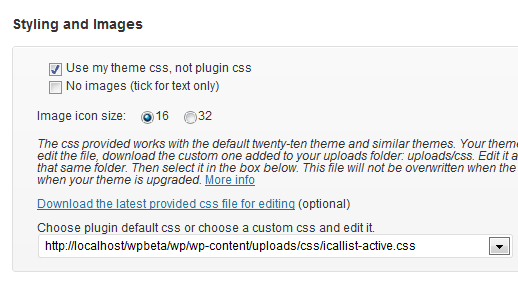 Choose whether to display images, and/or the icon size for all list types.